We hope you’ve all been having a great holiday season, and for those of you celebrating Christmas, we hope yesterday was a fantastic day spent with family and friends! Earlier this year, we shared with you news about Yeasayer’s show at the Williamsburg Hall in New York via Baeble. 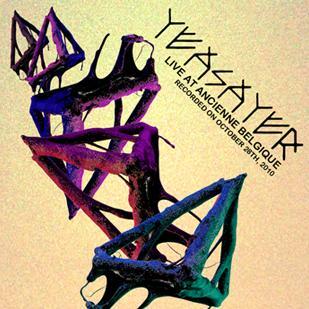 And since Yeasayer’s latest release Odd Blood is one of my top album picks for 2010, I was super pumped to get an email yesterday telling me that the band decided to release a live show from their vault that was recorded at Ancienne Belgique in Brussels on October 28th, 2010. That said, they’re offering the live show download for FREE, or at four other price selections and audio formats. You can pick up the live download on Yeasayer’s site. You also have the option to send the download to a friend as a gift which is pretty cool, because something like this would be a great gift for any live music fan who looking to discover new music and an excellent new band. We hope you enjoy the Yeasayer free concert download, and let us know if you picked it up gratis, or if you picked a price to pay, or you sent the download to a friend. I’d love to hear how it turned out. It’s a great recording that really captures the essence of the magic that these guys can create at a live show, so whether you were there or not, I’d like to know what you thought of the recording and performance too. Speaking of free downloads, you can get more free music we’ve shared before on Live Fix here. Happy holidays and stay tuned for more as we roll out the best of list in concert and fan news!